The healthcare industry is widely recognized as one of the fastest growing industries in the United States. There’s a strong demand for professionals skilled in all aspects of patient care delivery. 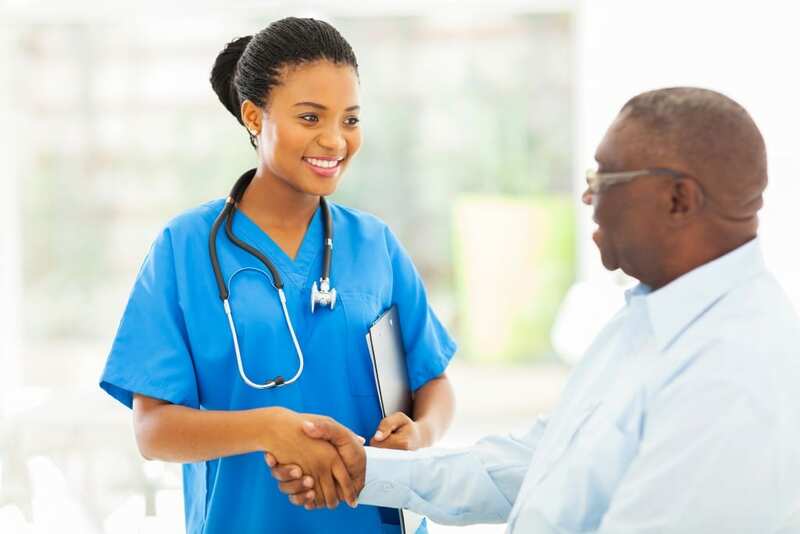 Graduates of Louisiana’s Department of Health and Hospitals approved nursing assistant training programs are eligible to take the competency exam for listing in the Nurse Aide Registry and find work in a variety of environments. The Pearson Vue administered exam evaluates students’ competency to become a Certified Nursing Assistant. The exam consists of both a written and skills evaluation, and only graduates of state-sanctioned training programs are eligible to sit the exam. While training and certification is essential to your success as a CNA, there are key character traits that are elemental to your success. You should have a compassionate nature, excellent communication skills, flexibility to work nights and weekends, and strong attention to detail. The one-year nursing assistant training at Bossier Parish prepares students for employment in a variety of health care settings. The comprehensive program covers all aspects of learning as students acquire skills to work alongside other healthcare professionals. The classroom and lab training commences in the fall. During the initial months, instructors cover basic nursing principles, anatomy, physiology, infection control, body systems, ethics and laws, patients’ rights, patient transfers, and communication skills. Students also participate in CPR and First Aid training, which leads to certification. In the spring semester, students transfer to an acute care hospital where they begin clinical training by rotating through different departments. Students must maintain a minimum 2.0 GPA to graduate from the 4-credit program. Apart from tuition, students should budget for transportation, parking, textbooks, scrubs, TB test and a criminal background history check. The Certified Nursing Assistant Program at Southern University at Shreveport provides students with the foundational knowledge of nursing principles to set the stage for lifelong learning. Graduates are capable of meeting the basic care needs of patients in hospitals and long term care facilities. All applicants for enrollment must be submitted at least 30 days prior to the commencement of the classes. Applicants must also consent to a criminal background check and demonstrate evidence of TB screening. During the 7.5 week course, students cover classroom, lab, and clinical training. The curriculum covers basic nursing skills, mental health and social science needs, basic restorative services, personal care skills, and resident rights. Graduates are eligible to write the Final Competency Examination to earn the title of Certified Nursing Assistant. The Certified Nursing Assistant at Bossier Parish Community College prepares students for an entry-level career at nursing homes, hospitals, and home health care. The program emphasizes long term care performed under the direction of a licensed nurse. A combination of didactic training and hands-on skill help students succeed on the state’s nurse aide competency exam. Classroom topics include medical terminology, patient care, safety in health care, nursing principles, infection control, resident rights, vital signs and record keeping. Students must attend all sessions and complete the coursework with a minimum grade C and earn 70 percent on the final exam in order to graduate from the program. Applicants must be at least 18 years with a high school diploma to qualify for training. A criminal history record completed through the Louisiana State Police is another requirement, which students must fulfill before commencing the on-site clinical. BPCC offers morning classes only. Tuition is $849 and does not include the cost of textbooks, uniform, and other supplies. The Shreveport Job Corps Center offers free education and technical training to young people between the ages of 16 to 24 years. The programs, sponsored by the U.S. Department of Labor, equip students with the skills they need to obtain employment or set the foundation for further education. The CNA training program at the center involves a minimum of 120 hours of training, which students can complete at their own pace. The program covers employability skills, professionalism and communication in addition to essential topics such as medical terminology, infection control, health safety, CPR, personal care, and hygiene. Training is completely free and includes the costs of textbooks, uniform, transportation, meals, and other expenses. The Center assists all graduates with job placement and provides a transitional allowance while graduates search for viable employment.